Urology is a medical/surgical specialism responsible for the diagnosis and treatment of morphological kidney diseases and diseases of the urinary tract and retroperitoneum affecting both sexes, as well as the diseases of the male genitalia, with no age limit. The main urological diseases are trauma and tumours of each of the organs mentioned above, urinary infections, urolithiasis, stenosis, kidney and urinary tract malformations, urinary incontinence and other urinary disturbances in both men and women, prostate problems, erectile dys, infertility, as well as other male genital problems and certain problems with the female pelvic floor. The development of urology during the 20th century were extraordinary. Significant advances in optical, mechanical, electrical and laser technology were made. Endoscopic techniques have been applied at kidney and urethral level since the 1970s and urological surgical equipment has served for the development of laparoscopic surgery, with applications in the adrenal, kidney, ureter, retroperitoneal space, bladder, prostate and urethra. Modern urology can tackle all problems of its anatomical and nosological area of influence from an integral – medical and surgical – viewpoint, and can give a response to the problems of our patients, based on profound and complete knowledge of the specialism. The technological future in urology considers medical and surgical options, both focused on treatment urology patients in a minimally invasive manner. Through gene therapy, solutions to various forms of urological cancer will be obtained. In the diagnostic field, endoscopy and magnetic resonance will make it possible to reconstruct the urinary tract in detail, and currently make it possible to locate tumours with maximum precision; and the new tumour markers will make it possible to detect disease early and monitor it with great precision. All of these sections are now an emerging reality in our world, which is giving way to new biotechnological expectations. Aspects such as robotics, telemedicine, the use of laser, endoscopic techniques, the daily improvement of minimally invasive diagnostic and therapeutic methods, nanotechnology and tissue engineering are increasingly used in our specialism, and our department strives each day to apply them and be able to offer our patients the best diagnostic and therapeutic options that science and the art of medicine provide us day by day. 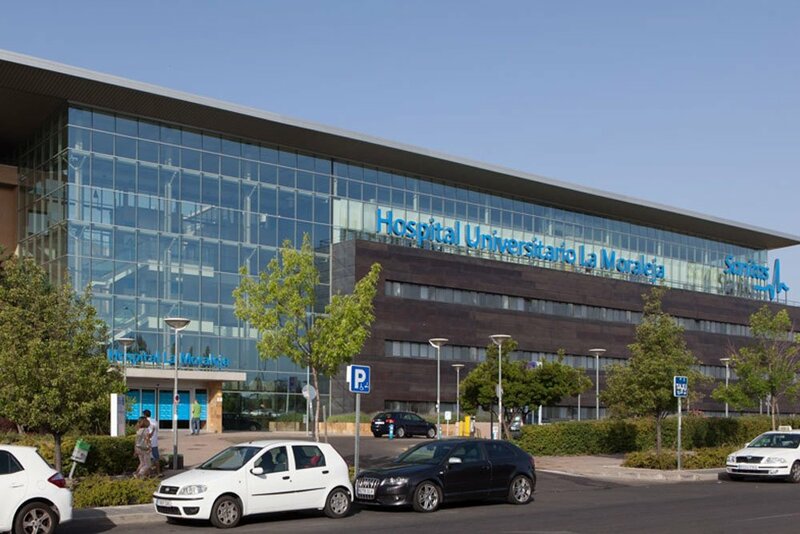 To make the Urology department a leader and benchmark in this field in private medicine in Madrid, the philosophy of multidisciplinary work as opposed to the obsolete individual approach becomes a reality. 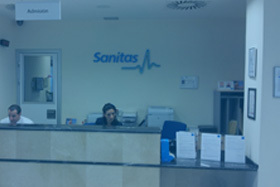 As part of this, aside from our tradition of teamwork, we consider it a privilege to have the support of a company such as Sanitas, with a long-standing tradition of technological and work as well as care, always at the service of the patient. Spacious and bright; the reception er is located at the entrance to the lobby area. Bright, spacious. Tidiness and cleanliness is primordial. All of them have an area separated with a screen, with a trolley for physical examination. Spacious room with 2 ultrasound systems specifically adapted for urological diagnosis, with a transrectal probe enabling diagnosis of the prostate and seminal vesicles by imaging, as well as outpatient prostate biopsy. It also has a high-range flowmeter enabling us to perform fast and reliable stimulation of the urinary dynamics of our patients. This room has a height-adjustable trolley which can be adapted to all types of patients, as well as its own individual toilet. Said room has a complete treatment cart with urinary catheters and different healthcare material, as well as urethral calibrators used in the outpatient treatment of urethral dilation. 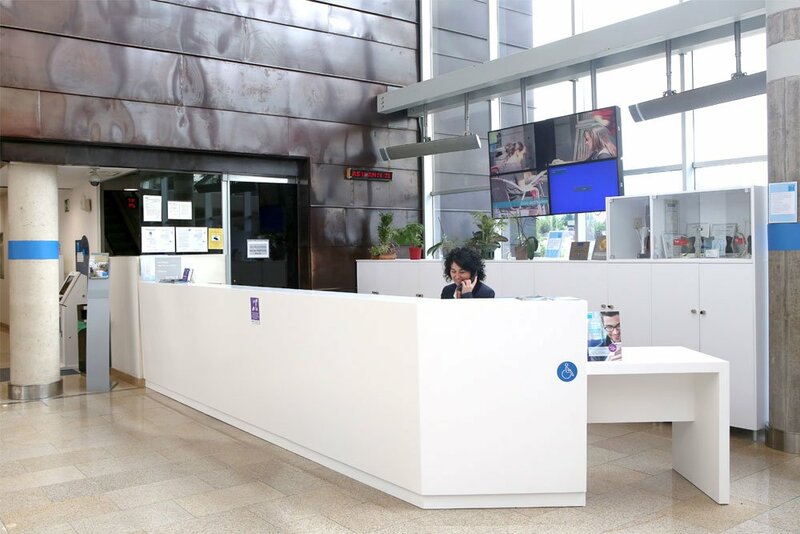 Versatile, located on the second floor of the building, different minor surgery activities such as circumcisions, vasectomies, frenuloplasties and genital biopsies, and diagnostic activities, particularly flexible cystoscopies, are carried out. 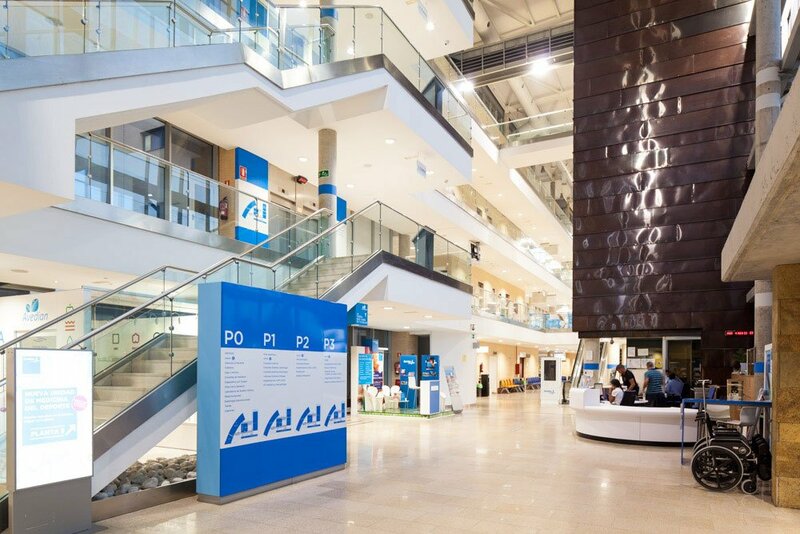 Located on the second floor of the building, with 2 fully equipped operating theatres for the completion of practically all the urological procedures of the greatest complexity, except for kidney transplant techniques. One of the operating theatres is equipped with cutting-edge technology permitting telemedicine and the teaching offer by means of the latest communication technology advances. Located in the surgical wing, patients operated on are sent for their anaesthetic recovery and observation in view of immediate complications before moving to the ward. 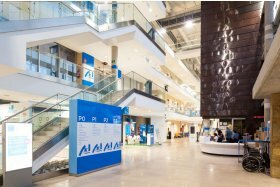 Where patients who are going to undergo procedures, as outpatients or inpatients, are welcomed for their correct preparation and adaptation in accordance with the procedure which they are going to undergo. 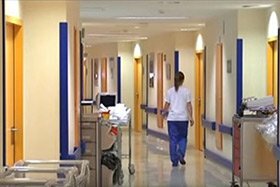 Managed by intensivist doctors and anaesthesiologists, who control and care for our most complex patients, who are admitted in emergency situations and in post-surgical procedures. The medical team uses evidence-based medical criteria d according to different national and international clinical guidelines. 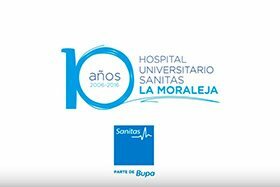 Furthermore, it participates and collaborates actively in the different scientific and teaching activities carried out at the hospital and at Sanitas. Penile echo-Doppler with vasoactive substances. Prostate biopsy with image fusion (magnetic resonance). Semi-rigid and flexible endourology of the whole urinary system. Benign prostatic hyperplasia surgery with Tulio laser. Guided prostate biopsy with image fusion (magnetic resonance). Rescue treatment after radiotherapy failure. Focal therapy in localised cancer. Coordination with the Assisted Reproduction Unit (TESA, Testicular biopsy). Study of lower urinary tract symptoms. Universidad Francisco de Vitoria medicine students. Medicine students from American Universities through the EUSA Programme. 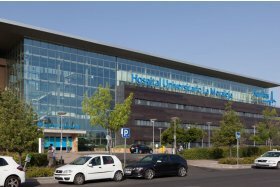 The Urology department at the Hospital Universitario Sanitas La Moraleja performs all types of education in hygiene and dietetic measures with its patients in order to control urinary infections, sexually transmitted infections and fertility problems, as well as education on correct diagnosis and management from the scientific and human viewpoint of all the pathologies dealt with in the specialism. We have also d recommendation sheets on some of the most common conditions, which are usually given to the patients who them.